We have created this page to serve as a repository for orientation-related information and to serve as a resource for students in the RTCM program. Students are required to complete health forms and submit immunization records to the Health Services office prior to the start of the semester. A registration hold will be placed on accounts of those students who have not provided this information. Course schedules are available through the Regional Training Center. Once you have communicated with Dr. Amtzis, you may register for classes via the RTC website or by calling RTC at 1-800-433-4740. Payment for your courses should be made directly to RTC. Any necessary receipts or proof of payment can be obtained through RTC. 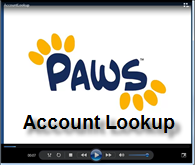 The username and password obtained through Account Lookup can be used to access myTCNJ, PAWS, library resources, and TCNJ e-mail. TCNJ e-mail is considered the official form of communication at the College. It is your responsibility to read College e-mails. It is possible to forward your TCNJ e-mail to another account that you might check more frequently. For additional technology resources and assistance visit the IT web page or contact the Help Desk at 609-771-2660 or helpdesk@tcnj.edu. For library hours and an orientation to resources and services, please visit the library website. Official transcripts are available six weeks after the completion of an TCNJ/RTC course. 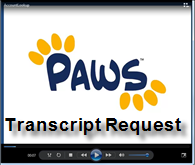 Beginning July 1, 2009, transcript requests need to be submitted through PAWS. See our 6 Easy Steps – Transcript Request instruction sheet for more information, or view the Transcript Request Tutorial Video. If a situation arises in which a student must cease coursework for more than one semester a Leave of Absence form must be filed with The Office of Records and Registration indicating the duration of the leave and the intended date of return. Once the leave period is over, the student must contact The Office of Records and Registration to restore active student status. Please Note: A leave of absence is different than a withdrawal from the program. A withdrawal is a permanent leave with no intention to resume study. If a student wishes to re-enter the program after a withdrawal is completed, a new application for admission must be filed with the Office of Graduate Studies (by the stated deadline). In order to graduate, you will need to complete an Application for Conferral of Advanced Degree and pay the $100 graduation fee by the set deadline. 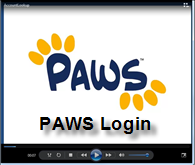 Beginning July 1, 2009, fees can be paid on PAWS or by check/money order to The Office of Student Financial Services (payable to The College of New Jersey) and will be subject to a $35 late fee if not received by the deadline. As noted above, deadlines for completion of this form will be included in e-mails sent to your TCNJ e-mail account. For instructions on this process please click here. For more information on graduation and diploma information, please visit the Records and Registration Website. It is the student’s responsibility to apply for graduation in accordance with the set deadlines distributed via campus e-mail.